Each organization has a different definition for how they define a disaster. One business might feel that they can get away with losing a few files here and there, while another might need every file to be secure and protected against data loss. Regardless, the importance of being able to define the severity of a disaster cannot be underestimated, as you will need to properly gauge just how much hot water your business has landed in before it can pull itself up by the bootstraps and push forward. Over one-third of businesses don’t have any means of backing up their data. This is a major problem, especially considering how many threats there are that can derail operations. For managed IT providers like us, this is painful, as it’s unfortunate to hear about data disasters that could easily be prevented. We’ll discuss some of the biggest reasons why your business needs data backup and disaster recovery. The hard drive is the part inside your computer that holds its data, but it is also susceptible to failing for one particular reason: it breaks easily. Consider the fact that the typical hard drive works by spinning a bunch of platters at very high speeds. It’s practically built with the risk of catastrophic breakage. These platters are outfitted with a thin magnetic coat that stores the data itself. A small arm rests over this platter with nothing but a cushion of air to hold it in place. The spinning itself is what keeps these two from colliding. If the head were to touch the platter, well… it’s safe to say that you’ll be wishing you had data backup. While modern hard disk drives can somewhat bypass these issues and have failsafes built into them, mechanical devices with countless spinning parts should be expected to fail at some point or another. Constant operation will result in wear and tear, and even the most subtle shakes can take their toll on the reliability of the drive. If your data is only located on one drive, all it takes to ruin your day is a bit of bad luck. What happens when one of your employees makes an admittedly understandable error and countless troubles follow suit? Perhaps your company uses spreadsheets to keep track of which services each of your clients receive. This template is what’s used for billing purposes. While this is a crude way of doing business at best compared to more recent innovations, if the original copy is lost or the files are changed unexpectedly, you could have a major problem on your hands. If this were to happen when you have data backup, you just need to restore the file from backup and everything would be right as rain. While the average PC owner understands that they need a firewall and antivirus protection on their computer, commercial-level solutions will simply not do for a business. There are threats out there that can pierce the defenses of the average security protocol. Some of the most renown recent threats include ransomware--malicious programs that encrypt data on your device and only unlock it when a ransom is paid. Cryptolocker and Cryptowall are some of the most notorious types of ransomware out there, and they’re as dangerous as they are crafty. Worst of all is that they are spread through spam and targeted phishing emails, so even some specialized security solutions may not spot them in time. In the event of a ransomware strike, the most practical way to recover is to just restore your data from a time before the ransomware infected your infrastructure. The scariest part of data backup isn’t the thought of not having it, but what would happen if your data backups failed. Frequently testing that your backups work is perhaps the most important part of using data backup and disaster recovery. Computerware can assist you with the implementation and upkeep of your backup system. To learn more, reach out to us at (703) 821-8200. Having consistent access to data is what drives business. If you can’t access mission-critical data, then you experience what’s called downtime, which drives profits into the ground. Therefore, you need to keep your data safe, especially if you want your company’s future to be prosperous. Therefore, you need data backup and disaster recovery. 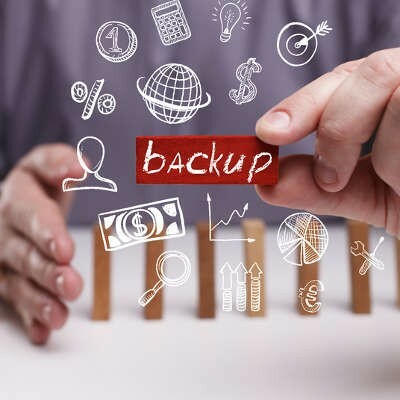 Here are three best practices that can help your organization get the most out of your data backup and disaster recovery solution. These two terms are associated with how much data that you want to restore, as well as the actual time it takes to perform the restore. The unfortunate truth of the matter is that tape isn’t conducive to optimizing either of these. Tape backups can take hours or even days to restore, depending on how big your infrastructure is, since it takes a backup of everything. Plus, tape backups can only feasibly be done after-hours, since they are so resource-intensive. Unfortunately, this leaves you vulnerable to up to a day’s worth of data loss in a worst-case scenario. Clearly, tape backup can’t meet the standards that your business needs from a data backup and disaster recovery solution. Having BDR as part of your company’s business continuity plan allows your organization to meet its recovery time objective (RTO) and recovery point objective (RPO), by eliminating downtime and ensuring that you can recover as much data as possible. BDR is a fantastic tool that can significantly improve your company’s chances of future success, since an organization that cannot recover their data is at much greater risk of going out of business than one that has direct access to their backed-up files. What would you do if your organization were to experience severe weather that threatened to destroy your physical infrastructure? Evacuating the building of personnel beforehand is a top priority, but it’s impractical to also evacuate your digital assets. Therefore, you want to have your data backed up and stored in multiple locations. You’ll be in rough shape if you store your data in only one location (like your office) and something happens to it. What would you do if the location of your backups, as well as your office, were to be hit by the same disaster? BDR stores your backups on-site, off-site, and in a secure data center to ensure that you’ll always have access to a copy of your data. Tape backup tends to only work once per day, specifically because your network will be too burdened if you tried to take more than one backup during normal office hours. The possibility of losing an entire day’s worth of work is a threat, especially since tape backup isn’t an automatic solution and relies on employees executing it properly. BDR, on the other hand, can take backups as often as every fifteen minutes. This means that it’s you’ll be restoring data that’s up-to-date, keeping data loss to a minimum in the event of a disaster. BDR also allows your organization to restore directly to a network device, which means you don’t have to immediately replace damaged hardware to be able to get back to work. Instead, BDR will provide you with a comfortable amount of time to get your assets in order and to shop around for replacement hardware. 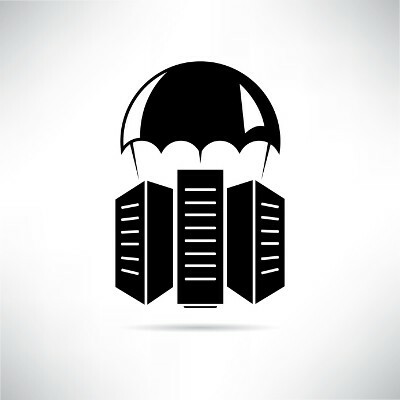 Data backup and disaster recovery is something that cannot be taken lightly. If your organization is suffering from a lack of backup and disaster recovery, reach out to Computerware at (703) 821-8200. We’ll help your organization take the first steps toward minimizing downtime and improving business continuity. If there’s one concept that every business owner needs to be intimately familiar with, it’s business continuity. Boiled down, the concept tackles the question of how your business will carry on after a disaster situation has struck. While a business continuity plan is by no means a simplistic document, there are a few key points that all businesses should focus on. Even the best plans can fall to unexpected circumstances, especially in terms of business technology solutions. Even if you spend countless hours planning out your system infrastructure, there’s always the possibility that an unseen actor could threaten the future of your business. Therefore, it’s crucial that you take into account the need for a data backup and disaster recovery plan. Data loss can come from any number of situations. 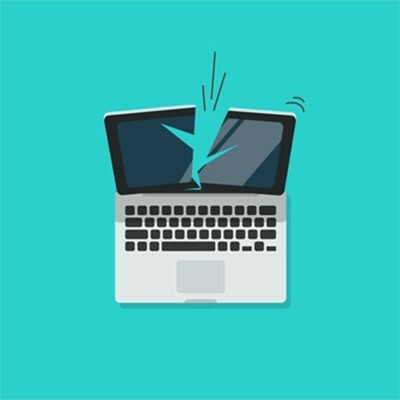 One of the most common scenarios comes from hardware failure, in which a device (such as a server or workstation) fails to perform properly, resulting in a significant amount of data being lost. You can’t ignore the possibility for fires, flooding, earthquakes, electrical storms, and all of the other threats out there that can end your infrastructure. There’s also the omnipresent threat of user error, which is the risk presented by one of your most critical assets--your employees--making mistakes like deleting or overwriting important data. You probably don’t need us to tell you that data loss isn’t something to take lightly. While there are certainly other factors, data loss is a leading cause of organizations going out of business. Most companies that experience data loss are out of business soon after the incident. To counter these concerns, organizations need a method of safeguarding their files from unpredictable data loss incidents. A comprehensive data backup and disaster recovery solution is the perfect way to keep your IT infrastructure secured and up-to-date. In fact, a BDR solution is perhaps one of the most critical components of running a business. If your organization should fall victim to a data loss incident, a BDR solution has the potential to restore your backed-up data and get your systems up and running again. 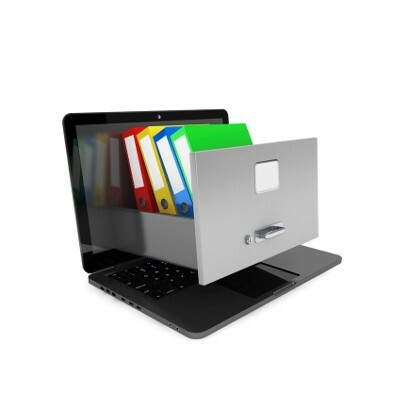 It’s a best practice that this solution store your data off-site and isolated from your in-house systems. The reason: even if your entire in-house infrastructure is destroyed, your data backups will be safe and sound. To minimize the possibility of downtime, BDR features a cloud-based strategy and data deliverance system. This means that your data is automatically backed up throughout the day--as often as every fifteen minutes. These backups are then sent off-site to a secure, cloud-based data center for when you need them most. When you need to deploy your data backups, they can be restored directly to the BDR device, which can take the place of your server in the event of a data loss disaster. Computerware wants to help your organization secure its future with a business continuity plan, which includes a BDR solution. To learn more, reach out to us at (703) 821-8200. The search for the perfect way to handle a data loss disaster has led many businesses to implement data backup and disaster recovery solutions, but the most challenging part of doing so is finding a solution that can minimize data loss and recovery time. Furthermore, there’s a specific need to understand the difference between data backup and disaster recovery, as the two are certainly not the same thing. It’s no secret that data backup is an important part of any IT strategy for small and medium-sized businesses. 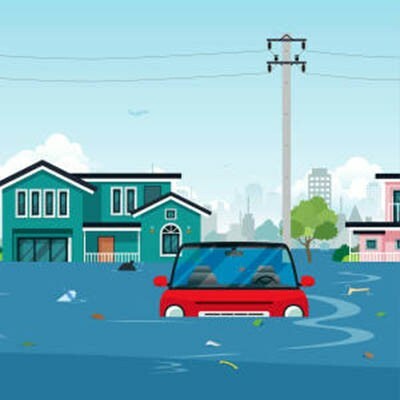 Backup and disaster recovery makes all the difference in keeping your business afloat in the event of a data loss incident. However, there’s still some debate over what the best approach is. According to a recent survey, it seems that many businesses find that both in-house and cloud-based backup solutions are needed in order to guarantee business continuity. The survey, conducted by research firm Clutch, claims that 46 percent of respondents feel that on-site backup is just as important as cloud-based backup. 42 percent actually claim that they prefer on-site backups, and only a paltry 11 percent feel that on-site backup is less important than a cloud-based solution. This survey asked 500 employers with the intent of discovering which type of disaster recovery solution they preferred to use. Of course, it’s also true that you don’t want to store your data backups exclusively on-site. Doing so could prove to be a dangerous gambit, but that doesn’t mean that on-site backup doesn’t have its advantages. It’s helpful if your cloud-based backup is unavailable for some reason, or if it’s corrupted. It’s important to remember that the more locations you have for your data backups, the better, as it helps you ensure that your data is available (and working) and can be restored in the event of a disaster. We recommend that your business apply this knowledge in the form of a compound backup and disaster recovery solution, which can take multiple backups of your data every day, and transport them to multiple locations for safe, compliant storage. We have a Backup and Disaster Recovery (BDR) solution that’s designed to offer you only the most dynamic of data backup solutions, so that you can keep your business running smoothly even in the darkest of times. 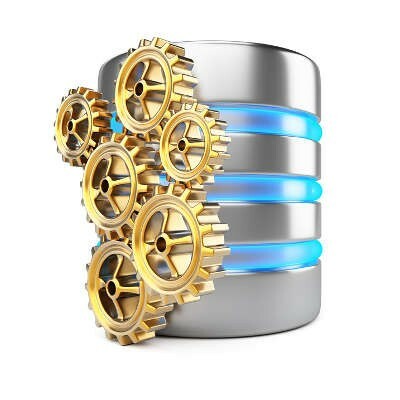 With our BDR solution, you can take backups of your data as often as every fifteen minutes. This can dramatically cut down on the data that’s lost in the event of a disaster incident. These backups can be taken automatically to eliminate the potential for user error. The backups are then sent to multiple locations, which can include on-site, the cloud, and a secure, off-site data center. One of the most valuable assets that you can reap from a BDR solution is the ability to restore your backups directly from the cloud, right to the BDR device. It can then act as a temporary server unit until you have a solid plan to replace the hardware that you previously had. This affords you valuable time that would be lost due to inoperable hardware, and considering how wasteful downtime is, you’ll be glad that your budget won’t have to suffer from it. To learn more, reach out to us at (703) 821-8200. Can Your Data Backup Solution Stand Up to These 3 Common Threats? These days, businesses practically expect disaster. With so many high-profile hacking attacks in the news, people are paranoid and fear for their data. Yet, even more businesses don’t fear enough, which can lead to unexpected data loss from hackers, natural disasters, and even user error. As a business owner, it’s your responsibility to ensure that your organization is prepared to handle disasters of all kinds. 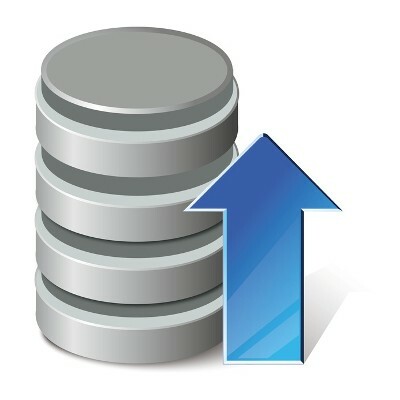 One of the most important technologies for any business is their data backup solution. Most companies cannot survive without their data. Is your data protected in the event of a disaster? How is your organization approaching this critical IT operation? An issue like data loss can be devastating if you’re not prepared to face it. Sometimes businesses don’t realize how important a data backup and recovery solution is until it’s too late, and a hazard has brought your company’s infrastructure to its knees. Something else businesses don’t take into account is that proactive solutions can help your company avoid dangerous situations like this. A thorough data backup is important for your business continuity plan, and so is a fast and efficient disaster recovery solution. What's that? Aren't those the same thing? Unfortunately, the two concepts are far from the same thing, but many business owners are still under the impression that their data backup is also a disaster recovery solution. Owning and running a business means that you have to be good at making and implementing plans. Every business owner has this skill, but there's one aspect of planning that often gets overlooked--testing. It's easy to skip testing because of the amount of time it takes, but it's necessary to ensure success. The clearest picture of this is with data recovery. Have you ever thought about how much your data is worth? If you ask a company to put a price tag on their data, they probably won't be able to. After all, how can you put a price on something so valuable? You'll find that something as irreplaceable as your information is simply priceless. However, it doesn't have to be. Could Your Business Function Without Computers? Companies that are actively seeking growth would be well advised to have a backup plan in place in case of emergency. Businesses that don't have a solid continuity plan in place will seldom survive accidents and disasters. 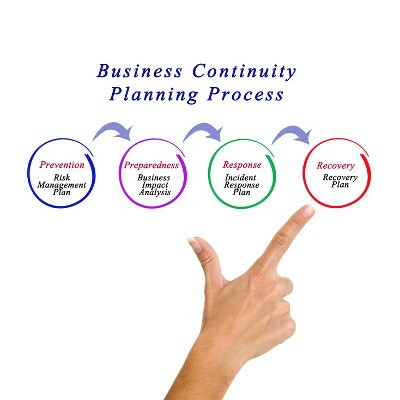 Without a business continuity plan, your company may be forced to operate without using computers. Could your company survive? A disaster that results in data loss is one of the worst things that can happen to your business. 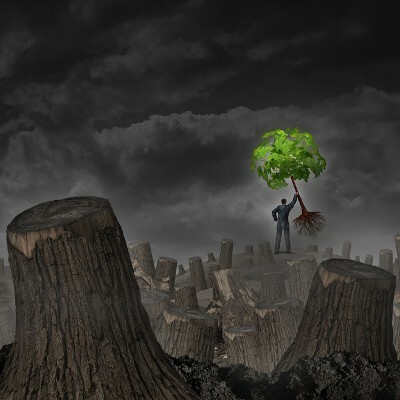 It has been shown that 40% of small businesses hit with a disaster do not reopen. One of the biggest contributors to this statistic is when businesses fail to backup their data. Here are three data backup measures your business can choose from.